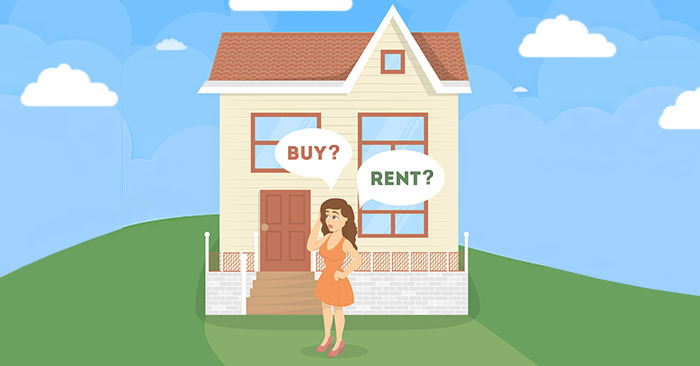 Why would someone write another blog on buying versus renting a home? Why would you read one? What is it you want to hear? Do you just want confirmation and justification for what you already believe and want to do? Or, are you looking to be convinced otherwise? These are all good questions to ask yourself if you find yourself reading a blog on whether it makes more sense to buy a home, or rent a house. There are “reasons” to buy, and “reasons” to rent. -When renting you’re just paying someone else’s mortgage. -You’re throwing your money away when you rent. You have nothing to show for it. If you buy, you’re building equity. -Many of the richest people built their wealth through real estate. -Real estate is a great long-term investment. Values always go up in the long-term. Certainly all valid to some degree. -When you rent, you aren’t tied down to an area. You have freedom. -You aren’t responsible for the upkeep and maintenance when things break. -Real estate values are not guaranteed to always go up. -Your house value could drop to be less than you bought it for at times. Again, all valid “reasons” to some degree. Regardless of whether the article is pro-buying or pro-renting, the “reasons” cited tend to be the same, decade after decade, regardless of the market. They are overused, and pretty useless to anyone in particular. There is no absolute answer that is right for everyone. You can find plenty of “sources” to formulate your opinion on what makes sense for you. There are online calculators to help you figure out if renting or buying makes more sense for you. It’s good to get some thoughts and perspective. Educate yourself. But it’s not necessarily proper for you to diagnose and treat yourself. Same when it comes to financial and real estate decisions. Certainly educate yourself. Become informed. But truly assessing whether or not it makes more sense for you to buy a home or rent a house warrants getting some professional help. While you can certainly sift through all the information you want for free, and come to your own conclusion, you can also get the advice of someone who is a real estate expert for free. All you have to do is reach out to a real estate agent. A good real estate agent will help you figure out if buying or renting makes better sense for you. They’ll help you assess your situation lend you their thoughts and insight based upon their knowledge and experience. And most of them will do this for free. They get paid if and when you end up buying or renting a place. Sure, there are some agents who are in it just to make money. But most real estate agents are more caring and concerned about their clients’ best interests, than their own self-interest. That doesn’t mean every real estate agent will necessarily be able to give you the best advice, even if they are caring, concerned, and not pushy. So, make sure you find a “great” agent when you ask for an agent’s advice. Who’s the best agent to talk to? Considering this is my blog, of course it makes sense that I feel like I’m the best agent for you to talk to. The best way to find out is for us to have a quick chat. Maybe I’m the best agent for you to talk to… Maybe not. But if I’m not, I probably know another agent who may suit your situation better. So why not give me a call, or send me an email, and let’s schedule a time to talk. No obligation. I never push people to do one thing over another. If buying makes more sense for you, we’ll figure that out. If renting does, we’ll figure that out. I just want to make sure you’re able to make the best and most objective decision possible.